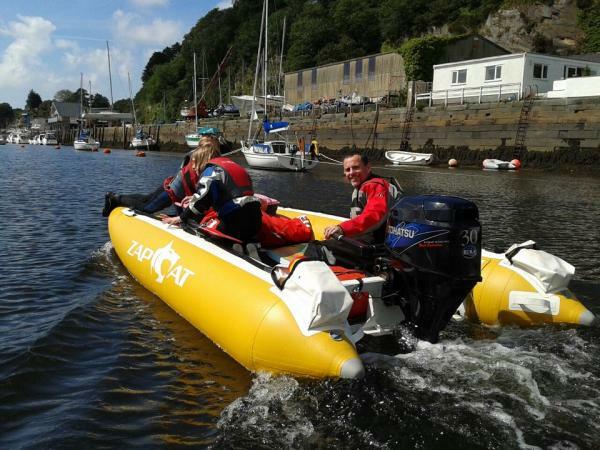 Basic Information 2004 Gemini ZapCat with Tohatsu 30hp fourstroke new in 2009 with only 136 hours and just serviced. Boat comes with road and seperate launch trailer and cover. NEVER RACED, the first owner used it as a pontoon boat on the Norfolk Broads, second owner was a lifeboat man and I have used it as a family boat. I bought the boat to replace a Honwave with a 15hp Mariner engine, and although the Zapcat is thought of as a racing boat it actually makes a better family boat than the Honwave. Easy to launch, easier to start with the Tohatsu engine and smoother on the water.